Ideal for solid, hollow and painted walls. Warnings: Do not hang over beds. Do not use on wallpapers, vinyl surfaces, or other delicate or weak surfaces. Do not hang valuable items. Failure to follow instructions carefully may cause damage. Use indoors 10 °C to 40 °C. 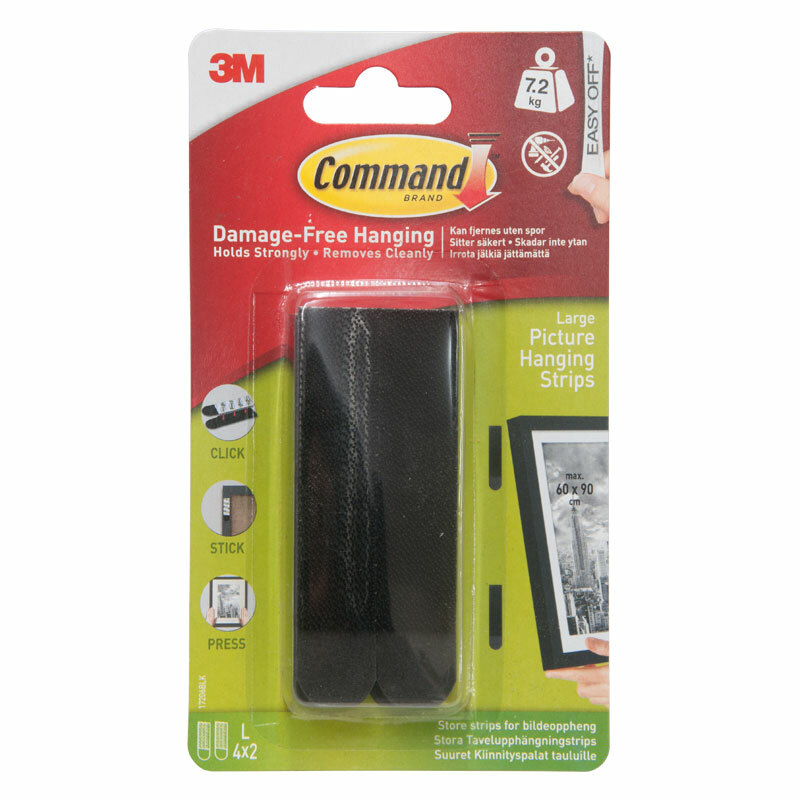 Can be reused with Command Small Strips. Date First Available: Wednesday 16 January, 2019.